In a frying pan add small quantity of coconut oil and add ladies finger ,saute it well. Then add handful of small onion to it and when it become translucent add crushed garlic(1/2) and sauté in low flame..
Then add 1/4 tsp of chilly powder ,1/4 tsp of turmeric powder and 1/2tsp of coriander powder . After that add 1 tomato (chopped) and curry leaves and close the pan with a lid and cook for 3 min in low flame stirring occasionally .. When done keep that a side.. In a cooker add washed toor dal ,one small piece of asefotida ,half of the big onion (sliced) ,salt and water and pressure cook ..Mostly 2 whistle is enough. 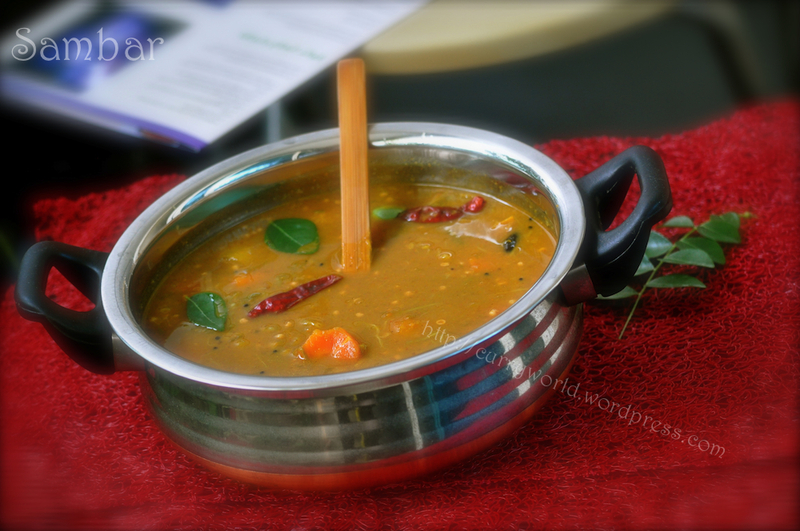 After the pressure settles down open the cooker and add all the vegetables and the masala mix ( onion – tomato mix) and tamarind water .Now cook it again . One whistle is enough.After some time open the cooker. If u want u can add coriander leaves d water according to ur consistency ..
Then heat a pan and add coconut oil .. 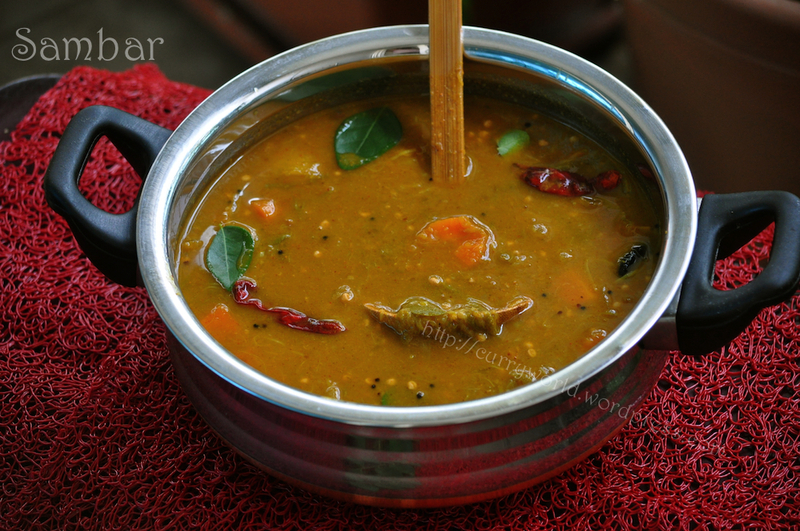 Season with dry red chilli ,fenugreek seeds,mustard seeds and curry leaves..
Hai, kerala receipe are always fantastic for people like me living out of kerala. really great work !! 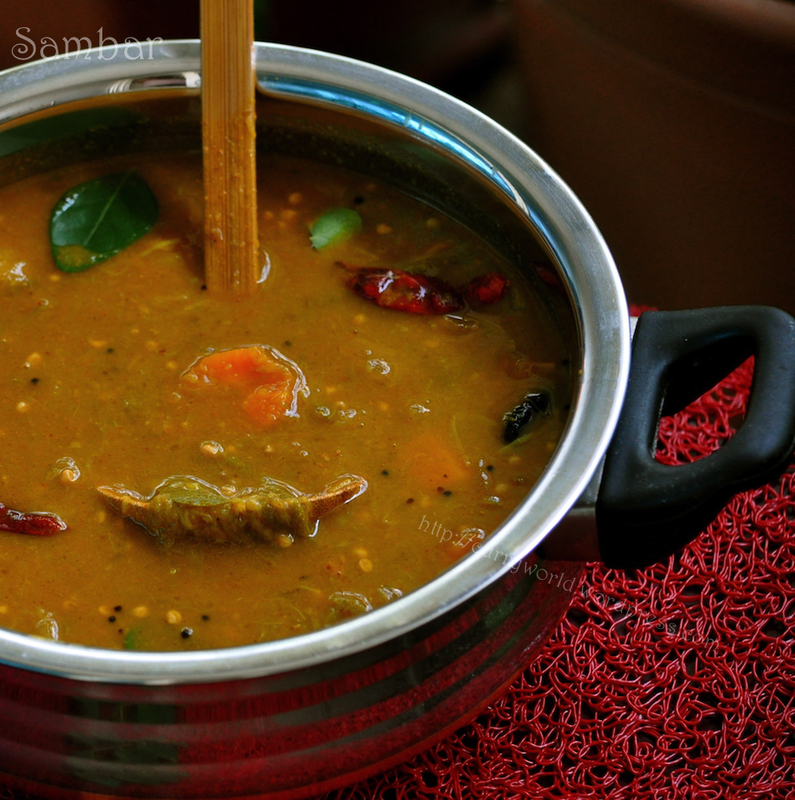 looks delicious.. Amma makes wonderful sambhar.. mohanlal’s tastebuds sambhar podiyane rashasyam.. u get readymade powder or u make it urself, chechi? Thanks a lot ur comment mithun..
That was a wow recipe, was immediate success with family.. Thanks a lot. Please note that smabar should not have garlic in it. Not sure what part fo Kerala they do taht not where we are from ( central). Most of us do nto use garlic. For sadyas tehy do not use garlic. 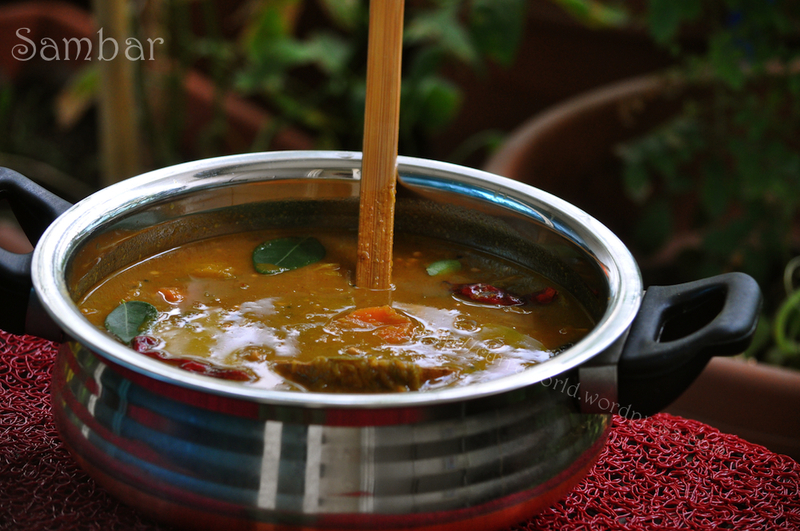 is there any alternative for sambar powder? thanks….i am going to try this!!!!!!!!! U mentioned one big onion but used only half and garlic is it one pod or one pc. Same with garlic as well only half is used. Did i miss something?? How many ppl can it be serve?